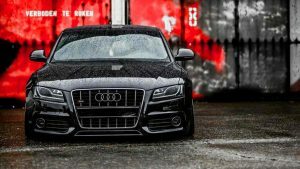 Is Your Audi Using Excessive Amounts Of Oil? 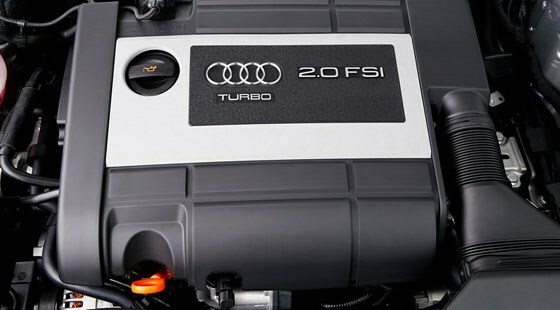 The early version of the TFSI gasoline engines found in the A5, A4 and Q5 have an inherent design fault which leads to high consumption of oil. The base problem seems to relate to the piston rings, which allow small amounts of oil to leak round the pistons into the cylinders, where it burns and therefore leads to high oil consumption. The typical way drivers become aware of this is when the ‘add one litre of oil’ notice comes up on the dashboard. When this comes up you don’t need to immediately stop, but you should add a litre of correct grade oil as promptly as you can. Over time this problem gets worse, and the range you can drive before needing to add oil steadily drops. In advanced cases there can be noticeable smoke from the exhaust under heavy acceleration, and it is also known to damage the actual cylinders themselves, causing scoring in the bores. One theory is that these grooves cause more and more oil to leak around the pistons, hence the problem gets progressively worse. The 2.0 and 1.8 TFSI engines prior to 2012. Engine codes known to be affected include CAEB, CDNC and CNDC (list being updated). The problem seems to have been corrected when the facelift was released. But all A5 TFSI engines before that, i.e. 2008 – 2012, are susceptible. The overwhelming majority of reports are for the 2.0, but 1.8 TFSI is also affected. There have been far fewer reports from 1.8 owners and information is harder to find. It is unclear whether this is because the 1.8 is less susceptible to the problem, or there are simply less 1.8 engines in existence. Diesels engines are not affected, but there have been isolated reports of the larger petrol engines such as those found in the S5 also having an oil problem, but it’s unclear if this is the same issue. Again, S5’s are far less common than 2.0 TFSI A5s, so that may be the reason there are few reports of this. The following advice should be generally applicable for any owner with oil problems, but is primarily based on the experience of 2.0 owners. If you have a different engine and find information that contradicts this FAQ, please post below and I will update. How can I tell if I have the problem? However, for Audi to do any corrective work you need to have an official consumption test done by a main dealer. For this they will drain your car of oil, then fill it up with a carefully measured volume so they know exactly how much is in the engine. You are then asked to drive 500 miles, or until the one litre warning comes on, whichever is first. At that point you return to the dealer, they drain the engine again and carefully measure how much is left. In this way they can get an extremely accurate measurement of the oil used over the distance. If more than half a quart has been used over 500 miles, the car has failed the test and they will recommend a repair. It is essential that you not top up the oil during the consumption test, as it will invalidate the result. Audi dealers will typically charge $80-125 for the consumption test, although this is sometimes waived for goodwill. For a long time, especially when Audi wasn’t offering much in the way of financial contribution, many TFSI owners took the view that it wasn’t harming the engine, and buying a 4 quart bottle of oil every few months was a lot cheaper than the repair. However, it has now been confirmed that the problem does harm the engine, it causes scoring and grooves to be worn into the cylinder bores. 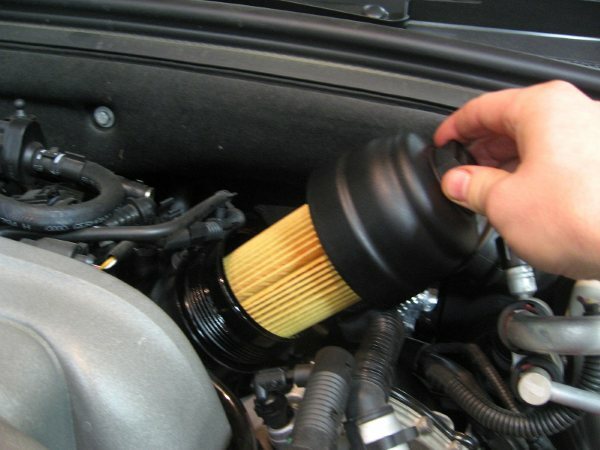 In the short term these make the problem worse, longer term this could eventually cause the engine to fail. So you are strongly advised not to just ignore the issue. There are three known solutions offered by Audi. This involves replacing the crank case and updating the engine management software to the latest release. While it appears to reduce the problem in some cases, and is sometimes offered alongside the consumption test as an initial fix, it does not seem to be a permanent solution and Audi does not seem to be offering it very often anymore. Audi dealers typically charge $200 for this but it is sometimes offered free with the test as goodwill. This involves removing the engine from the car, stripping it down to the cylinders and replacing the pistons, piston rings and con rods. It takes around 12 hours to do this, so it is not a trivial piece of work. Provided there is no other damage the stage 2 solution will completely fix the problem. Audi dealers typically charge $5,000 – $6,00 for this. However, before conducting a stage 2 fix, the dealer should check the cylinders to see if they have been damaged. This is done either by stripping the engine, or by putting an endoscope in through the spark plug sockets. If the bores are damaged the stage 2 fix is not suitable as the grooves will still cause oil to leak around the rings. The final repair option is a completely new or good quality used engine, and this is the only fix that will work if the cylinders have been damaged. This is a permanent fix, the replacement engine will not have the same problem. Audi dealers typically charge $12,000 – $14,000 for a new engine this. Note that both the Stage 2 and 3 are permanent solutions, neither is more effective than the other, and there is no requirement to have the stage 2 before you have the stage 3, in fact that would only happen if the dealer missed there being engine damage in the cylinders. The only thing that decides whether you need the stage 2 or 3 is the presence of scoring damage in the cylinders. Some drivers have reported that using different grades of oil, or engine treatments such as STP, can improve the problem. But while there might be some small incremental improvement, there is no evidence that they significantly reduce the problem or provide a fix. Crucially, Audi doesn’t seem to have ever recommended these solutions, and given how expensive the other options are it seems likely they would have at least tried it if there was any chance it might work. What are Audi doing about this? 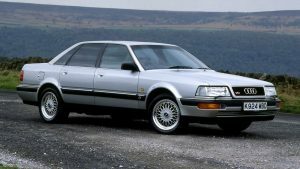 For a long time Audi dealers were quite reluctant to admit there was any problem, and while they did provide the various fixes listed above, unless the car was still in warranty the owners were typically requested to make a significant contribution to the cost, sometimes to the tune of several thousand pounds. After market warranties also didn’t seem to cover the issue as it was either categorised as a manufacturer defect or else wear and tear. This left many owners facing having to live with the problem due to the huge expense of rectifying it. However, in 2014 a class action lawsuit was brought against Audi in America, and while they have not formally admitted liability, they have made a settlement offer to American owners. This extends the manufacturers engine warranty to 8 years or 80,000 miles, and will fully cover the cost of the required repairs up to and including a new engine. American TFSI owners should read this website to find out details of this and how they can claim. Apparently as a result of this finding in America, as of 2015 Audi in other countries appears to have had a change of heart and are now making 100% contributions to remedial work for affected cars that meet their criteria. In March 2015 I personally had the stage 3 fix, i.e. a whole new engine, provided completely free of charge despite my car being two years outside of its manufacturer’s warranty. Audi UK is committed to investigating and swiftly resolving any technical issues relating to our cars which are reported to us through our network. As we have stated previously, a low percentage of older 2.0 TFSI engines fitted to certain models have been exceeding the factory oil consumption tolerance of 0.5 litres per 1,000 kilometres (approx. 620 miles). Changes were made to the production tolerances of the pistons and rings in this engine from mid-2011 onwards, and customers with 2.0 TFSI cars produced after this date should not have any cause for concern. The comprehensive Audi UK Warranty (3 years/60,000 miles) covering all new Audi vehicles has already resolved the majority of these cases at no cost to the customer. For remaining affected customers with cars that are no longer covered by this warranty, we have a policy in place to resolve issues on a case-by-case basis. This revised policy has been in force nationally since the beginning of the year and applies to new and retrospective cases. Qualification criteria are applied in each individual case to confirm that the vehicle has been serviced in accordance with the owner’s handbook by an Audi Centre or other professional workshop which follows the Audi Service quality standards. What are the criteria for getting the fix for free? There appear to be two main criteria. If you have a less than perfect service history, Audi may reduce their contribution and you will need to make up the difference. However, there is some evidence that if you can produce garage receipts showing that the correct grade of oil was used, this may mitigate against this. The relevant line in the Audi press statement is “the vehicle has been serviced in accordance with the owner’s handbook by an AudiCentre or other professional workshop which follows the Audi Service quality standards.”, so if you have used an independent garage you may need to provide evidence that they followed Audi standards. An engine remap or similar after market modification will likely cause Audi to refuse all contribution and it will be difficult to argue against this. It’s likely to be hard work though and there are obviously no guarantees. Another unofficial factor appears to be the particular dealer you go to. 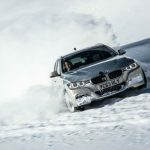 It seems that Audi expect the dealers to contribute to the cost as well, and some dealers seem more willing to undertake the work than others. Your personal history with the dealer may also help here, if you have had several services and other work done by the main dealer, they are more likely to help. But if you turn up with a problem car and it’s the first time you’ve ever spoken to them, you may have a harder time. I have an affected car and I’m pretty sure it’s out of spec, what should I do? If you are in the US, read the class action page linked here. In other countries, take it to your local dealer and say you have an oil consumption problem and would like them to look at it. 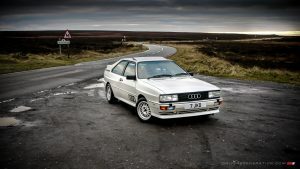 BE POLITE, it is the dealer who will apply to Audi on your behalf for the contribution, so you want them on your side. If you go in demanding your rights, quoting law suits and generally being a pain, like any other human they are less likely to go the extra mile working on your behalf with Audi. You can always bang the table later on if the contribution isn’t what you want. I asked very politely and their opening offer to me was a completely free replacement engine without any negotiation required at all. 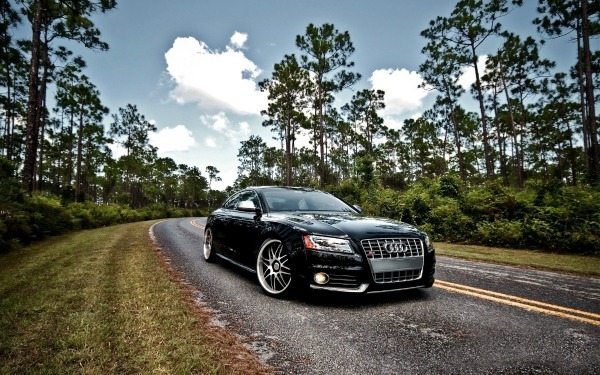 If the dealer doesn’t cooperate, either consider another dealer or else speak to Audi direct. You may want to ask in this thread for a recommendation of a helpful dealer or who to speak to at Audi. However, the issue is getting more and more profile and publicity, having been featured in the UK national press, and more recently on the BBC Watchdog consumer affairs program. This should lead to more and more dealers following the Audi line and fixing the problem. Some owners who previously paid large contributions towards a fix are now understandably upset that work they paid for is now being provided free. When this issue was featured on Watchdog, four owners were shown who had previously made contributions, and as part of their response to the article Audi agreed to refund all four of them. So if you previously paid to have this problem fix, you should politely go and speak to the dealer who did the work, quoting other examples of owners who have had the same work fixed for free. It would appear there is a very good chance you will be issued a refund. 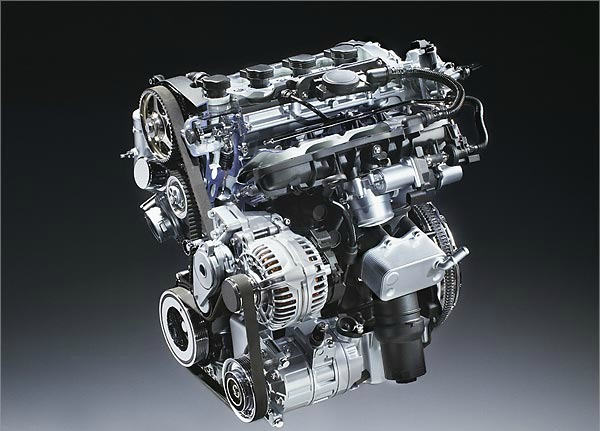 I am thinking of buying a pre-2012 Petrol TFSI car and heard about this issue, what should I do? Many owners who realised they had this problem but didn’t know or believe that Audi would fix it have part exchanged their car to be rid of it, so there is likely to be quite a large number of affected cars in the used market. If you are considering buying any pre-2012 car with this engine for your own sake you should work on the assumption that it has the problem and it is likely to get worse. Bear in mind that even on badly affected cars you have to drive several hundred miles to be able to diagnose the issue, so dealers who have taken these cars in part exchange could well be completely oblivious to it and you can’t rely on any dealer assurances. Although a written assurance would be useful if you later want to make a claim. 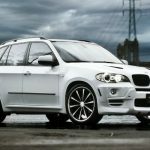 However, that doesn’t necessarily mean you shouldn’t buy the car, and in fact you might be able to get quite a bargain as a result. But keep the following in mind. 3. Even if the car appears to be on the level , be aware that you might have to go through several months of hassle to get the problem resolved, and as with any used purchase there is always the risk that something will crop up (e.g. a remap or dodgy service) that leaves you needing to make a contribution. Use the normal rules of used purchase to minimise this risk, i.e. a dealer is safer, an Audi dealer safer still, and if its a private sale then buyer beware!. If you are at all in doubt, or just don’t want the hassle, walk away from any car with this engine. Either go for a diesel, or wait a year or so until the Facelift models come down to your price point. Don’t risk getting stuck with a dying engine that Audi won’t touch and you can’t afford to fix. Again, a big thanks to Atlantic Motorcar for all the hard work and time in researching this! 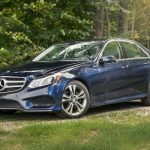 Do I Have To Take My Mercedes To The Dealer For Service?